Welcome to your new Profile! For those of you who don’t know me already, I’m the Product Owner for the Profile, deliverer of fancy features and killer of annoying bugs. Everything. 😛 Seriously: apart from the new features and the design revamp, we revisited a lot of the previous functionality to make it more usable. The complete profile got restructured as well, since the previous settings vs. what is really public was not always easy to understand. latest people who started to follow you – follow them back and have a conversation about fun topics you are both interested in! Work History and Education history – to tell more about yourself. Though we don’t want you to type in your whole life again – LinkedIn import option coming soon! the favorite topic of 2018: Privacy! Apart from making your profile public, you now have full control over what details you want to share with others. and don’t worry, you don’t need to start from scratch 🙂 All your previous bookmarks from SCN will be there! 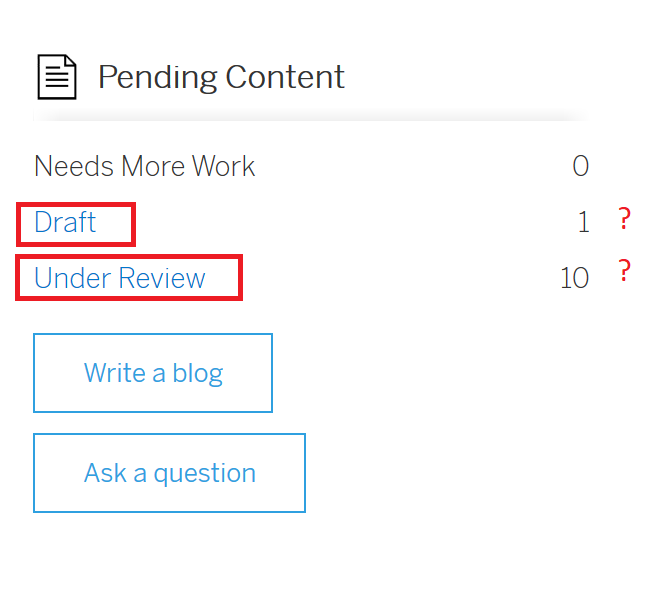 see ALL your content – even if it is not published yet. 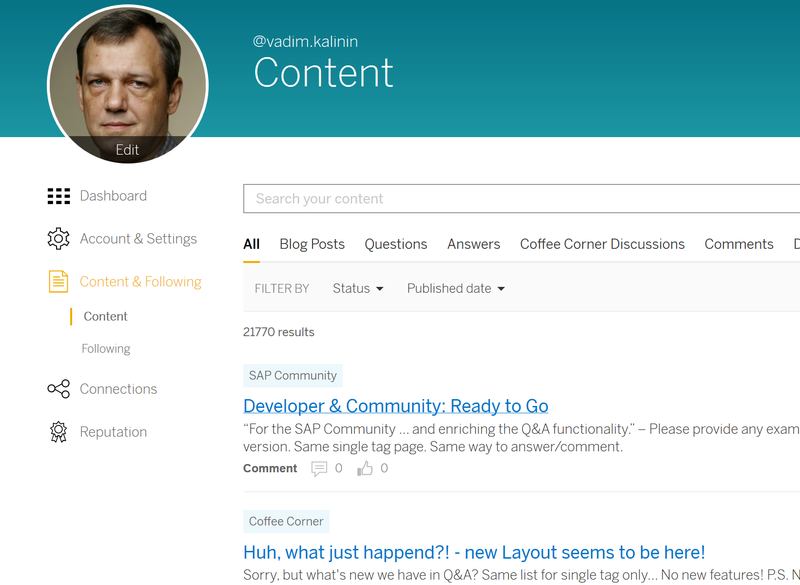 Manage your drafts or content under moderation from a single place. 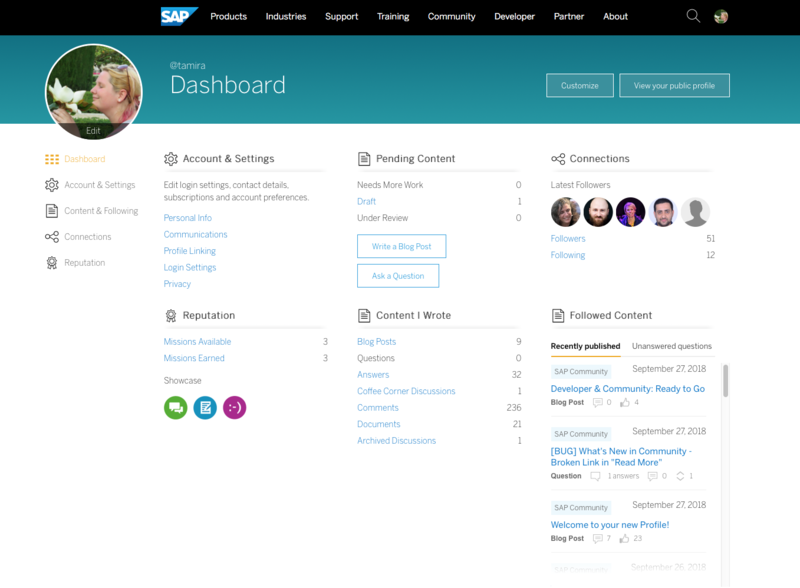 see an overview of your reputation via the Snapshot – karma credits, blogger role, badges, legacy SCN points, all at one glance! 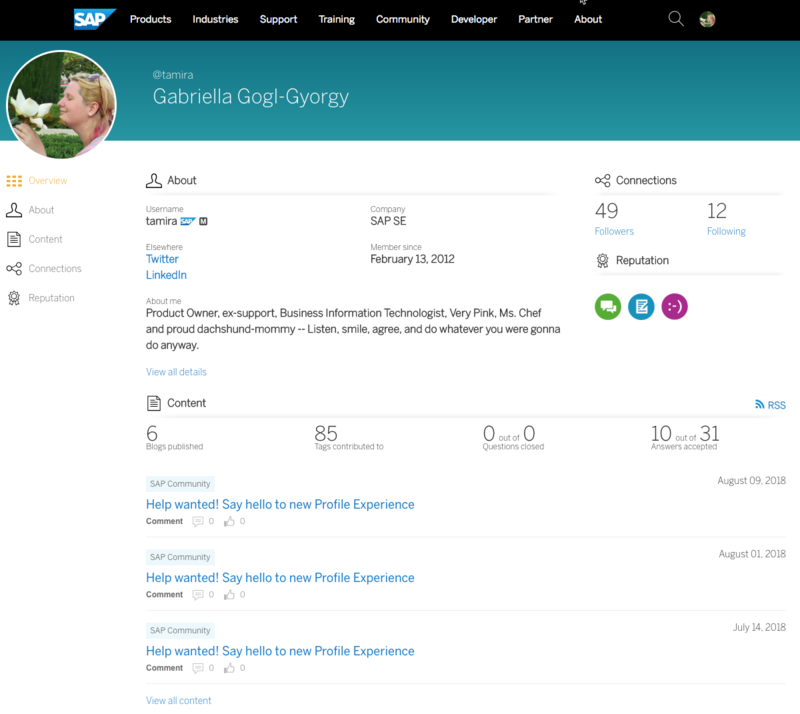 show off your achievements – select up to 5 badges to your showcase that you are the most proud of to highlight them in various places, such as profile cards, public overview…etc. apart from having more stuff to share about yourself we introduced a (big) business card-like Overview for the public profile, so people can get a quick image of who you are and what you do – while leaving the option to know more by visiting the details of content, connections or your reputation. the best part, in my mind, was your very prompt response to my silly concerns about coffee corner and tagging. otherwise, the new dashboard/profile is a move in the right direction and should result in more content creation and sharing and last but not least, 100% #privacy is great and i don’t get asked about cookies all the time like i would on some other websites. this is the way to implement #GDPR, imho. Yeah, noticed it allready, nice! The bookmarks announcement is nice, too! Really like the look and feel of our new files. Nice blog, great features, excellent team! Just uploaded a new headshot, fresh off the presses at SAP TechEd Las Vegas, where we have a professional photographer taking headshots in the Community Lounge on the show floor. If you’re attending the event, come on by and get your photo taken too! ( I allready tried correcting it, but it wouldn’t work). No big deal, I just think you’d like to know about this! We are already correcting it now as we got feedback about a similar issue for & signs, so we’ll add this to the list.